A quirky owner of a store for used books gives bookworm Coral a messenger bag that appears to actually pull her into novels. Jumping from one genre to the next, she sees, hears, and even smells the action, interacting with characters and literally getting lost in the world of books. It seems like the ultimate escape, yet each novel Coral enters brings her closer to understanding the truth behind a family tragedy and the secret she forgot she was keeping. 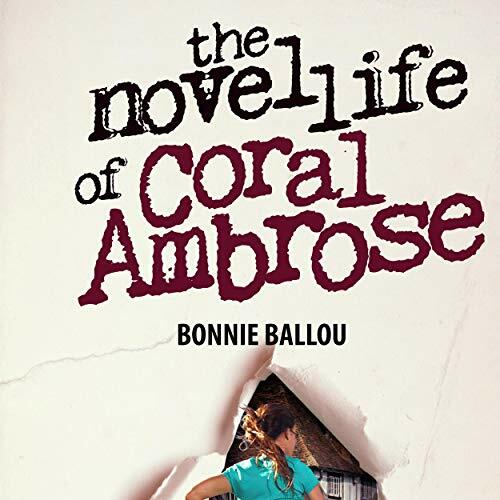 A pause-resisting fantasy told with wry humor, The Novel Life of Coral Ambrose is a mystery, romance, Western, horror story, science-fiction epic, thriller, and children’s book all rolled into one. But most of all, it’s the story of finding out who you are in life through books and a love letter to the joy of living between the pages. It took a few to get into the book but once I did I was hooked. I really enjoyed the plot line and how Coral figured out how to play this new role she found herself in. I love stories with in stories and this one had quite a few. The narration was wonderful. Heather was easy to follow and her slight changes in her voice to delineate between characters was on spot and not distracting. Overall I found this book to be well worth the time and money.